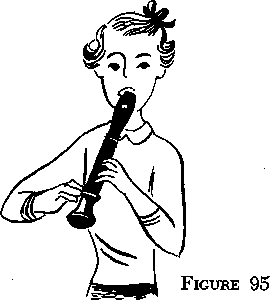 There is no trick to producing a good tone on the recorder. tained notes for a few minutes every day. lower notes, use the word "du". the thumb hole. The little finger of the left hand is not used. cover the four lower holes.